Join the Vulcan Restoration Trust and help us preserve XL426 as part of the UK’s aviation heritage. Your donation will help us maintain Vulcan XL426 as a live aircraft, one of only three Vulcans in the world capable of moving under its own power. Become part of the team looking after and raising funds for XL426. Vulcan Restoration Trust owns and maintains Vulcan B2 XL426 in live ground running condition. XL426 is open to the public at our Visit the Vulcan Days held throughout the year and at other events. Come and see Vulcan XL426 up close at London Southend Airport at our first Visit the Vulcan Day of 2019. Our team will be giving guided tours of the Vulcan and you will also have the chance to climb inside XL426's cockpit (additional fee applies). As well as the Vulcan, there will be other displays and attractions. Refreshments will be on sale from a variety of stalls so no one goes hungry or thirsty. 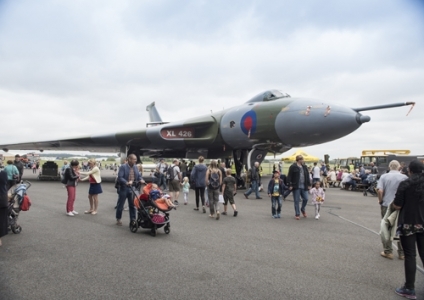 With lots going on and much to see, our Visit the Vulcan Days are great days out for families and enthusiasts alike. 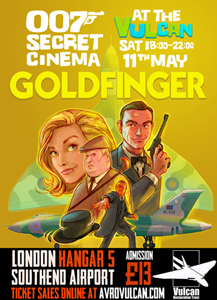 Secret Cinema at the Vulcan returns in 2019 with a showing of the classic James Bond film ‘Goldfinger’. Southend Airport features in the film, so this a unique opportunity to watch the film at one of its locations. You can take a free external tour of Vulcan XL426 and cockpit visits will also be available for a small additional charge. The ‘cinema’ will be inside airport Hangar 5 with the Vulcan parked outside. The event is part of the 2019 Southend Film Festival. 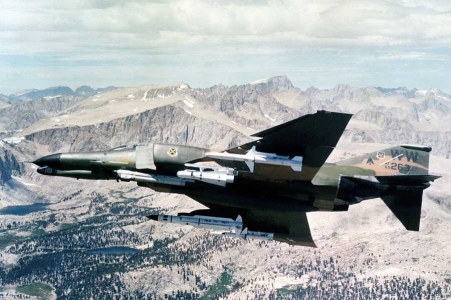 Come along and hear Retired United States Air Force Colonel Rich Graham speak about his experiences flying the F-4 Phantom during the Vietnam War in the 1960s. Rich will also describe the other aircraft he flew during his career, including the SR-71 and U-2 spy planes. Event includes VRT Annual General Meeting.